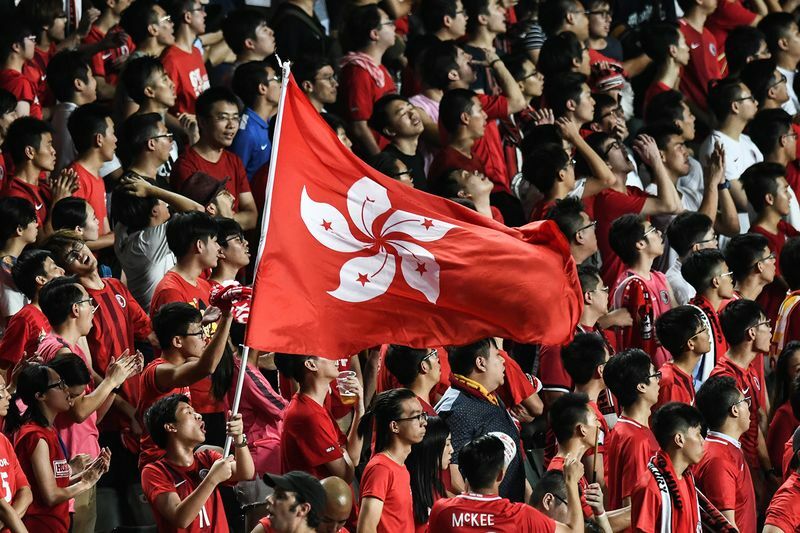 Hong Kong unveiled legislation to make disrespecting China’s national anthem a crime — from internet posts to sporting events — fueling concern about free speech in the former British colony. The bill calls for prison sentences as long as three years for people who “willfully” alter and insult the anthem, or sing it in a “distorted or derogatory” manner, said Patrick Nip, the city’s top constitutional affairs official. The government plans to introduce the bill to the Legislative Council on Jan. 23, where the pro-democracy opposition will struggle to block it. “The risk is that it becomes a political tool for the administration to persecute lawmakers they don’t trust, or even ordinary people who appear to be ‘naughty,’” said Alvin Yeung, leader of the opposition Civic Party, which intends to vote against the legislation. The move is part of a broader crackdown on dissent that democracy advocates say is eroding the financial hub’s liberal political and economic system. President Xi Jinping has sought to assert China’s dominance in the “one country, two systems” framework intended to protect its independent judiciary and freedom of expression after British rule ended in 1997. Last year, Hong Kong issued an unprecedented ban against a political party that advocated independence from the mainland. Before that, six activists were removed from the Legislative Council for insulting China while taking their oaths of office — after the Communist Party exercised a rarely used power to interpret the city law. The anthem legislation has been expected since 2017, when China’s top parliamentary body added a requirement to Hong Kong’s charter for it to adopt the law. An addendum to the Basic Law, known as Annex III, also gives China power to apply national laws locally. The anthem, “March of the Volunteers,” was written during China’s struggle against the Japanese and later adopted by the People’s Republic of China. It was played during the handover ceremony when the Chinese national flag replaced the Union Jack over Hong Kong. Let us amount our flesh and blood towards our new Great Wall! The anthem has become a symbol of Communist Party interference among Hong Kong’s democracy supporters, especially its youth. The song has often drawn boos during soccer matches, mirroring U.S. debate over kneeling at sporting events. Nip, Hong Kong’s secretary of mainland and constitutional affairs, said that the police were so concerned about the number of cases that would emerge that the bill’s drafters extended the prosecution time to at least one year from six months. The bill lists occasions that the anthem must be played, including swearing-in ceremonies of government officials and lawmakers, National Day cocktail receptions, as well as major sports events. The law will also cover insults of the anthem published on the internet and in schools, including those attended primarily by foreigners. The plan comes just days after Xi proposed that China and Taiwan unite using the same “one country, two systems” formula. It was rejected by even the island’s China-friendly Kuomintang, which said the framework adopted in Hong Kong was unacceptable for democratically-run Taiwan because it lacked public support.